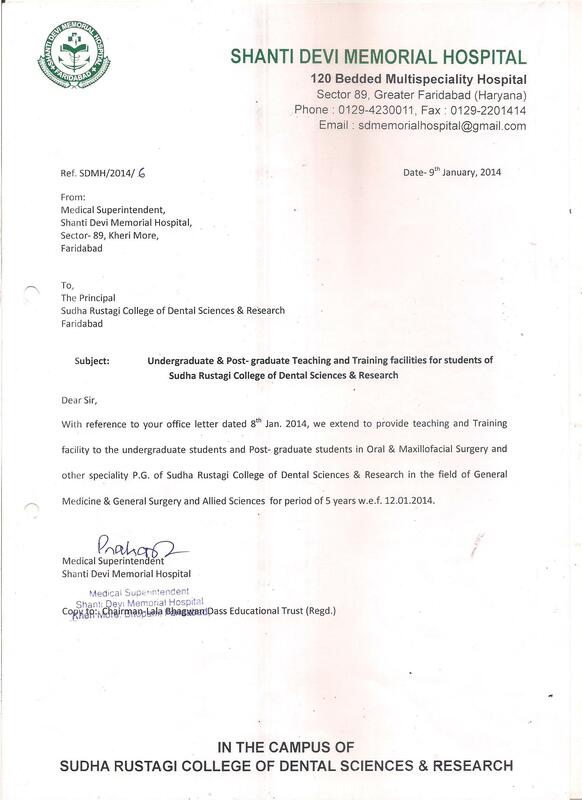 Copies of Essentiality Certificates for BDS & MDS course are attached herewith. 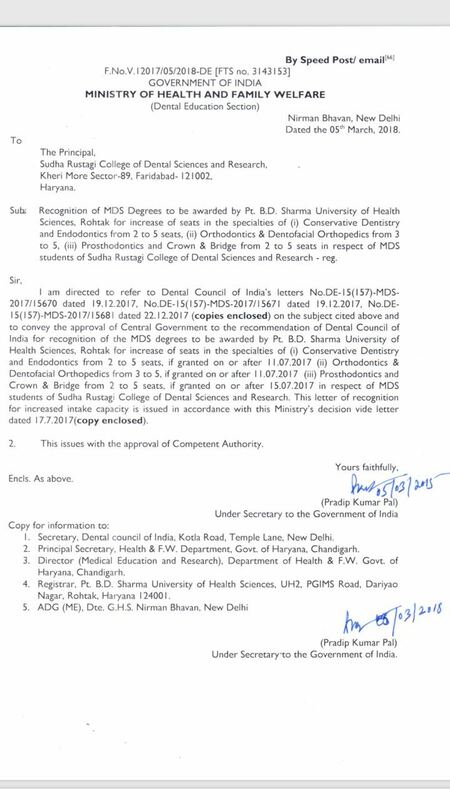 Letter of University Affiliation for BDS & MDS for the session 2019-2020. 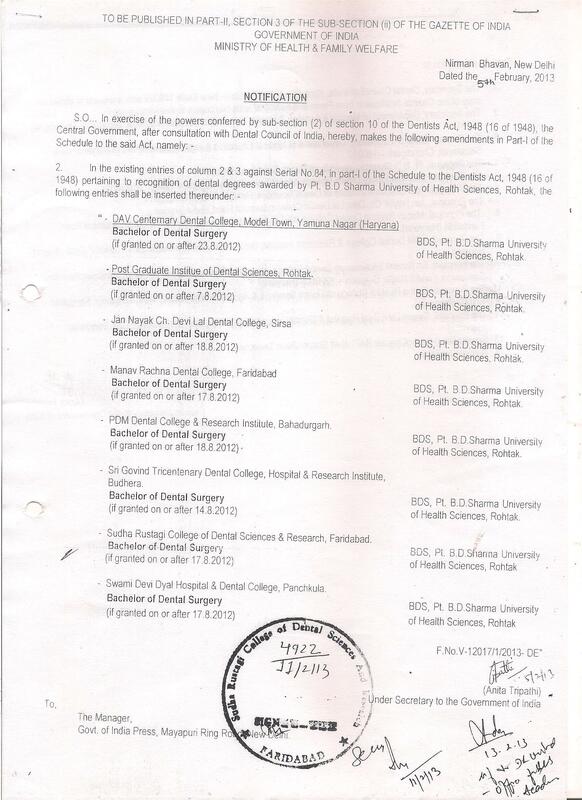 Sudha Rustagi College of Dental Sciences & Research is affiliated to Pt. B.D. Sharma University of Health Sciences, Rohtak. 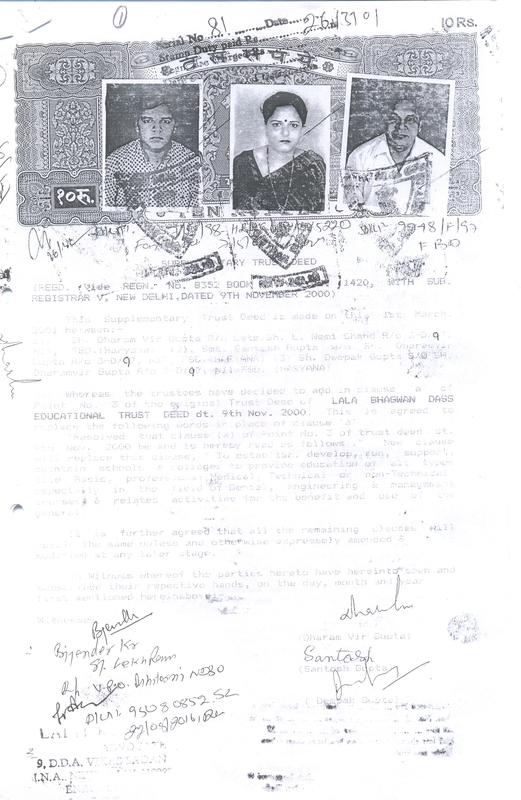 Principal's Name with Telephone No. 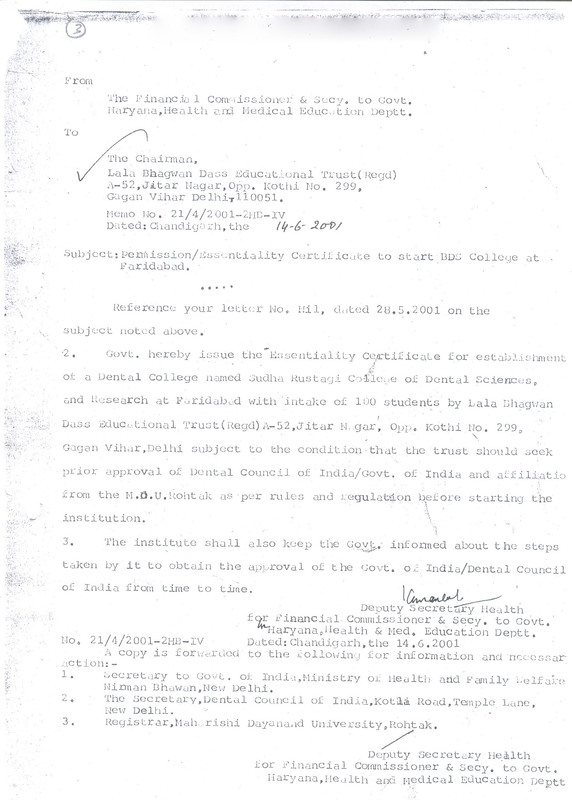 Approval Letter issued by DCI / GOI for MDS increase of seats are attached herewith. List of department-wise Teaching Faculty is attached herewith. 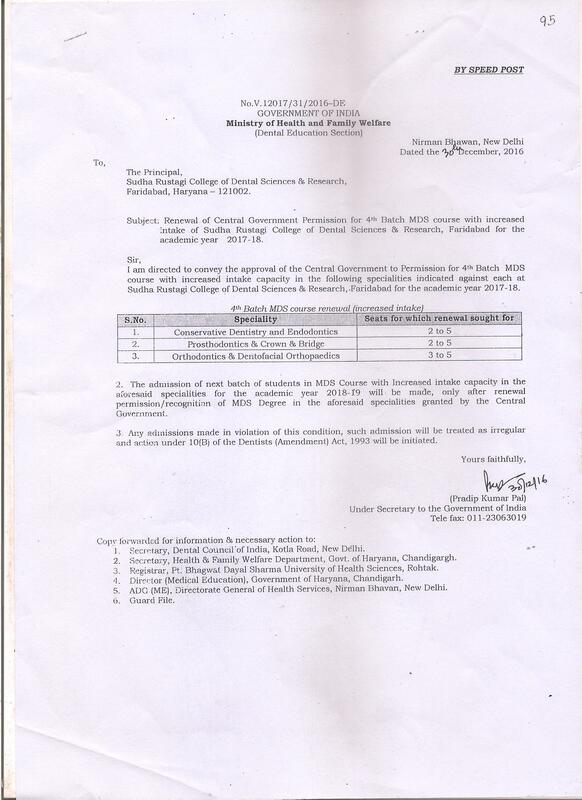 Examination Schedule(2015-16) is attached herewith.